This week has us all caught up in coming fashion and trends for 2013 but, I decided to take a pause because honestly, I'm beyond excited about so many things coming this fall! I noticed that I've been gravitating to all things foxy. The sly creature has definitely creeped into my consciousness and soon, my wardrobe. Perhaps it's because he reminds me of so many of the characters I loved in my gigantic childhood books with huge pictures and fonts bound so perfectly they near squeaked when opening. Part whimsy, part street smart - what's not to love? 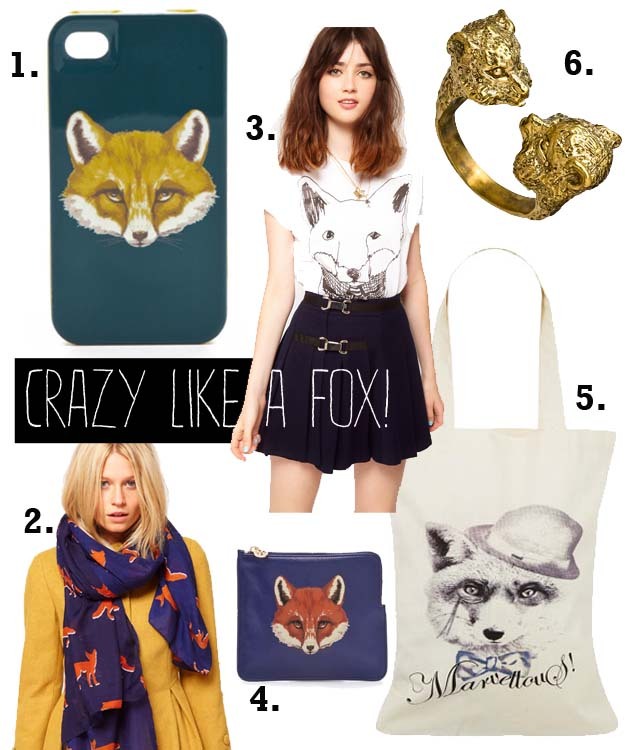 I rounded up a few items that have tickled my fox fancy.